Cherry Energy delivers ultra-low sulfur on-road diesel for stationary and mobile tanks, vehicles and equipment. The Cherry Energy Keep-Fill Program – Let Cherry Energy manage your on-road diesel inventories so you can concentrate on growing your business rather than worrying about price increases or run outs. Remote monitoring or forecasting options available. Onsite deliveries – Cherry Energy can provide on-road diesel in any quantity to your location 24/7, with customized delivery options available to suit your unique needs. High volume discounts and project planning services – We also offer large tank and high-volume discounts and other planning and support services for you project – along with off-road diesel, biodiesel and gasoline if you need it. 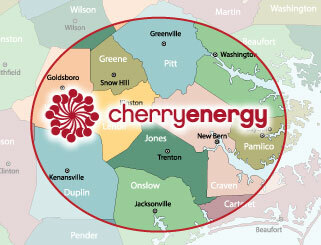 For all your on-road diesel needs, turn to Cherry Energy – fueling North Carolina homes and businesses since 1928. Contact us today to join the Cherry Energy family.